Timber Expo will be taking place at the National Exhibition Centre (NEC) Birmingham this September. Now in its third year, over 5,000 visitors are expected at the UK’s leading timber trade show including architects and designers, engineers and contractors, local authorities and a wide range of those working in the built environment. It will be two days brimming with the latest products, innovations and developments across the timber sector – not just from the UK but from an increasingly diverse international market. It will also be the official launch venue of the rebranded UKTFA as the Structural Timber Association. With just a month to go before the doors open, here are some essential highlights not to miss at the UK’s truly national timber show. A huge range of 170 companies from all four corners of the timber industry will be unveiling their latest products and services plus giving advice on how best to use the construction industry’s leading mainstream low carbon building material. Overseas exhibitors and representatives already include: Austria, Belgium, Bolivia, Canada, Finland, France, Germany, Ghana, Italy, Latvia, Malaysia, Netherlands, Poland, Russia, Spain, Sweden and the USA. A key element to the show and a central part of the Expo experience. Timber Talks will deliver an unrivalled collection of high calibre speakers from all four corners of the built environment across both days including: Mace, Willmott Dixon, Land Securities, Architype and Waugh Thistleton. From niche areas to leading trends, the Timber Talks will be characterised by key industry topics, major names, super projects and big issues – and they are all FREE! Built by Frame Wise, the Fabric First theatre will extoll the virtues of building with an airtight building envelope in mind and its superior thermal properties – making it ideal as the basis of a modern energy efficient building. Built by B & K Structures, this eye-catching building will showcase the strengths of timber and advanced closed panel timber technology and show why solid wood use is beginning to soar in the UK. New for 2013, a new section of CPD presentations will focus on the detail of processes, technologies and solutions on display at the show. From manufacturing process to on-site engineering solutions, Toolbox Talks will complement the Timber Talks and will be held in a purpose built 30 seat presentation theatre. Sponsored by Timbmet and building upon the Timber Accord agreement signed in 2012. The Pavilion will be situated at the heart of Timber Expo on the main exhibition floor, this will be a unique opportunity to touch base with twelve leading trade bodies representing the supply chain of the forestry and timber industries, in the same place at the same time. The Wood Awards is the UK’s premier award in the timber sector and will once again recognise outstanding design, craftsmanship and installations in wood that have taken place over the last 12 months. 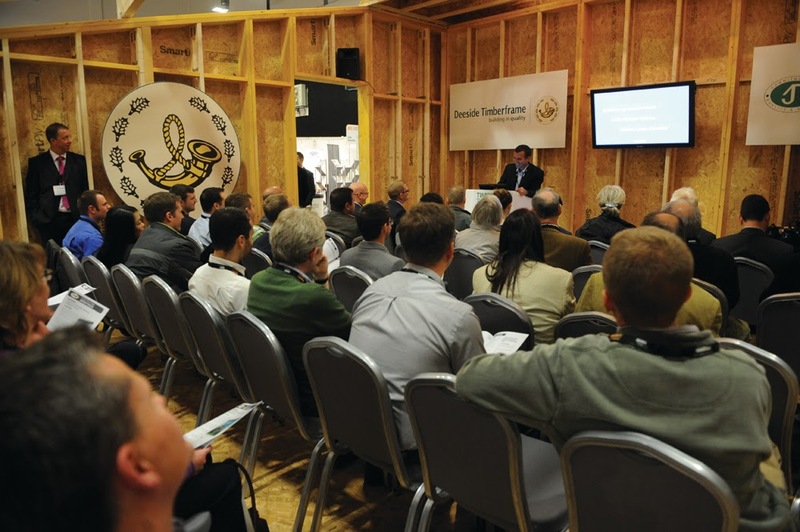 The 2013 shortlist will be unveiled and on show throughout Timber Expo and you will be able to hear more about the projects in the Timber Talks programme. said Timber Expo event director, Loretta Sales.